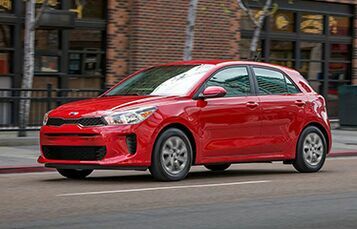 A subcompact hatchback featuring a fun form factor and exuding a sporty European style, the 2019 Kia Rio 5-Door is big and bold where it matters most. For 2019, the Rio 5-Door is available in one trim, packing a 130-horsepower engine and achieving fuel efficiency ratings of 28 in the city and 37 on the highway. Performance is smoother and nimbler than ever thanks to an updated 6-speed automatic transmission, updated braking system and Motor Driven Power Steering for more responsive handling. Outside, the 2019 Rio 5-Door stands wider, lower and longer than its previous iteration, poised with a simple athletic strength. Smart as well as stylish, the Rio 5-Door comes standard with Apple Carplay™ and Android Auto™ for easy smartphone integration with Kia Drive Wise safety systems available for effortless peace of mind and protection. Best of all, standard 60/40 split-folding rear seats accommodate up to 32.8 cubic feet of cargo, so nothing is left behind. 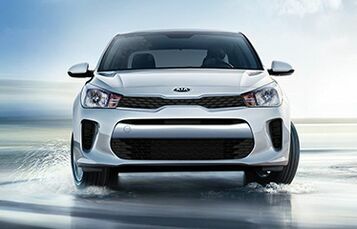 The 2019 Rio 5-Door is protected by the industry-leading Kia 10-year/100,000-mile warranty program. 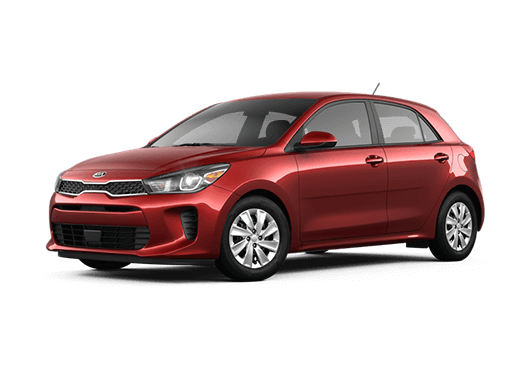 This program protects the powertrain of any Kia for up to 10 years or 100,000 miles and includes a 5-year basic warranty and anti-perforation warranty. And for absolute peace of mind, the program includes 5 years of guaranteed roadside assistance. Bold, compact and confident, the 2019 Rio 5-Door exudes an undeniable style that defies compromise. The sleek, athletic body complements multi-reflector halogen headlights and signature tiger-nose grille in the front and distinctively-designed taillights in the back for an eye-catching look from every perspective. 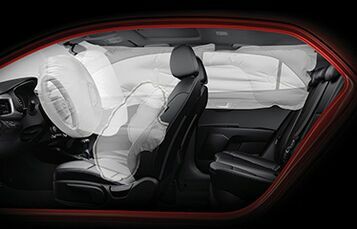 Smarter than the average hatchback, the Rio 5-Door integrates active safety technologies and easy media connectivity, making hassled driving obsolete. Safety features like Vehicle Stability Management and Hill Start Assist Control enhance control and protection while a standard Rear Camera Display makes normally nerve-wracking maneuvering simple.